Here is a selection of exciting things to do in Grand Cayman, the biggest of the Cayman Islands. Sea lovers, diver and snorkels will be thrilled by the coral reefs and wrecks to to be explored. Make your dreams come true when you swim with the dolphins, go for a horseback riding and then set out on a kayak paddle through mangrove swamps or a submarine exploration adventure! 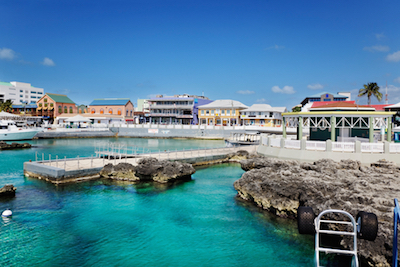 Read on about the great tours in Grand Cayman and its fascinating activities. Visiting Stingray City is one the best things to do in Grand Cayman. Located on the northwest portion of the North Sound between Morgan Harbour and Rum Point Beach, Stingray City is the perfect place to swim and snorkel with marine life which includes stingrays. This Grand Cayman attraction has everything you want in an all-day excursion that includes viewing the colorful marine life in the Caribbean Sea as well as actually swimming with stingrays. Stingray City resides on a series of shallow sandbars which are home to over 50 stingrays year round. You will be amazed at the size of stingrays which can be 150 pounds. Stingray City is one of the more popular Grand Cayman attractions and one of the best Grand Cayman activities available where and you can choose one of the several all-day tours or your own private boat to view these incredible stingrays in water that is only 3-feet deep. Snorkeling is a highly popular thing to do in Grand Cayman. The waters are crystal clear and warm, filled with amazing abundance of colourful marine life, wrecks and corals. If you are experienced and want to explore on your own, then simply head for the coast. If you prefer help and perhaps a few lessons, book a tour. There is a great selection catering for different degrees of experience. 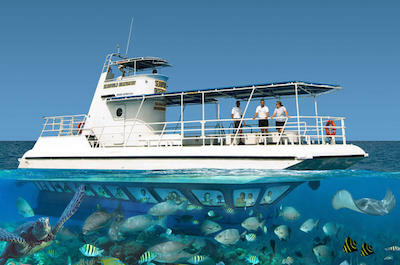 Snorkeling can be enjoyed from tour boats that will take you to the best areas with an abundance of fish and sea life. For something different try SnooklingSnookling! 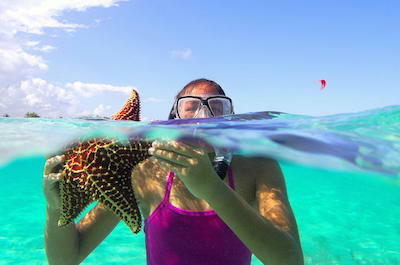 This fun thing to do in Grand Cayman is a combination of scuba diving and snorkeling. This amazing cutting-edge invention allows you to swim fully submerged and breathe as if you are on the surface. Take a lesson with a knowledgeable guide and give it a try. It makes exploring the underwater scenery easy and fun without the need for heavy diving gear. 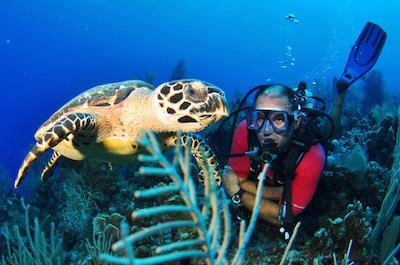 Engage in this one of a kind Grand Cayman activity! 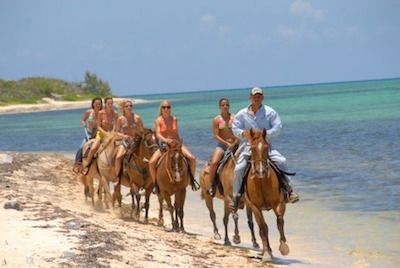 When making a list of things to do in Grand Cayman, don't miss out on horseback riding. This is a spectacular way to explore the Island andsee the beaches from a different perspective. There are many tours to suit all levels of fitness. The tours collect you at your hotel and drop you off again at the end of the day. Horses are selected to fit your weight, height and riding skills from beginners to experienced riders. A safety lesson and briefing on how to handle your horse is given, you are then saddled up and off you go. Enjoy a serene and peaceful walk along the beach at the waters edge. See the breathtaking views of the Caribbean Sea. Your experienced and friendly guides will ensure that you are always comfortable and in control. For a unique experience, take a ride and swim tour. Trot along the beach and when you and your horse get too hot and tired, enter the cool clear waters for a swim and a cool off! For a romantic couples, book an exclusive private ride where your guide will take you to specific locations requested by you. Or enjoy a night time ride for a thrilling experience. 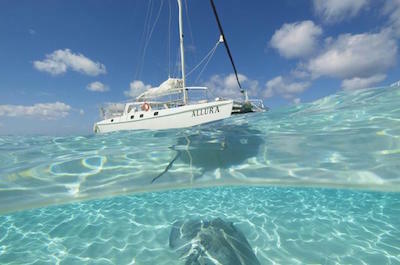 Sailing on the azure blue waters is an enchanting thing to do in Grand Cayman. Take a tour or rent a boat, a yacht or a catamaran, there are many options to suit all tastes. Tours cater for groups, families and romantic couples. Try the 'Cayman Islands Stingray City Luxury Sailing and Swimming Tour' which combines swimming with stingrays and snorkeling. Adults will enjoy the cruise to Rum Point Beach where they can have a Caribbean inspired buffet lunch washed down with Island Rum. For an exotic romantic experience, book a sunset cruise and see the panoramic views with a loved one while watching the sun set and enjoying a fine-dining dinner. For family thrills, you can enjoy an amazing cruise on a Pirate Ship with passengers dressed up in real pirate gear and wielding cutlasses. Glass bottom boats offer cruises with the added fun of seeing the stunning marine corals and sea life as you sail above it. Give them all a try, you will have a blast! Thrill the family with a way-out thing to do in Grand Cayman when you take a ride of a lifetime in a real submarine. 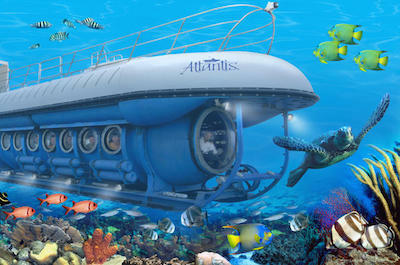 The Atlantis XI Submarine is made for underwater sightseeing tours and offers a fabulous family outing. The trip starts with a short safety briefing and a ride in a transfer boat out to the submarine. Be amazed as you approach and see its massive size rising out from the blue waters. After you dock next to the Submarine, you will be transferred from the transit boat onto the deck. Settle down inside, the interior is cool and air-conditioned and the seats are plush and comfortable. Get ready for an amazing 40 minute experience as you start descending into the depths down to 100 feet. The fabulous scenes of huge corals, sponges, brightly coloured fish, turtles, snappers and stingrays will thrill as they appear in the view-port windows. When you return to your transit ship, you can watch the submarine descend again with the next lot of visitors before you return to the mainland. For an extra special trip, experience the submarine at night where the mood is totally different and special lights allow you to view nocturnal creatures without frightening them away. On your bucket list of things to do in Grand Cayman has to be a swim with the dolphins, as it is one of the top tours in Grand Cayman. This is an experience that people dream of and now you can make that dream a reality. Fabulous tours are offered that also add value by giving you an educational experience too. Learn about these intelligent creatures, their anatomy, interesting facts and how they interact with each other and with humans. The tour is ideal for the whole family and offers a safe environment with friendly and knowledgeable guides. 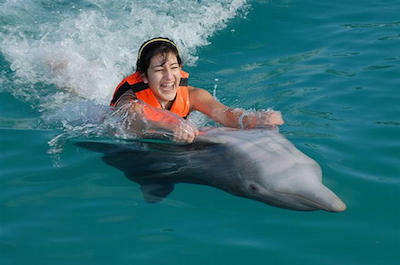 Swim in the water with the dolphins, play with them and touch them and even take ride on their backs. View them deep underwater from a special platform and watch them do tricks like handshake, kiss and tail splash. Make sure you get some selfies and then relax at the restaurant with an exotic island cocktail and buy a small dolphin souvenir to take home to remind you of this fascinating day. Food lovers will be over the moon with this exciting thing to do in Grand Cayman. Take an exotic island food tour and experience the traditional flavours, spices and tastes of the Caribbean. The walking tour takes you to off-beat venues where locals prepare the most scrumptious meals. Learn about the culture and history that created these iconic speciality dishes and drinks. As you stroll along the streets of George Town your guide will enthral you with fascinating stories. Enjoy the icy cold tea that is inspired by the island flowers. Taste the exotic West Indian street food, the sweet, spicy jams, coconut drinks, Cassava Cake, tuna and snapper and wash it all down with the iconic Island Rum. The tour is kept to small numbers of people so you can enjoy an intimate experience. A highlight is a visit to a restaurant that is known globally for its innovative methods of sustainable fishing. You will get insider information about many food establishments from the old to the modern, their history and culinary visions. When you are done you will be an expert on Caribbean food! There are so many fascinating sights to see on the Island, that taking a sightseeing tour is a mandatory thing to do in Grand Cayman. Tours will collect and drop you off at your hotel. They are well organized and knowledgeable and helpful guides will make your experience perfect. Start with a tour to Stingray City that you can only reach by boat. 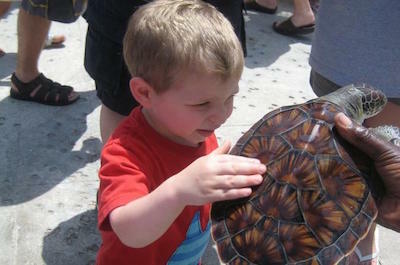 After getting up close and personal with these amazing creatures, head off on a tour to the Cayman Turtle Farm. Take a food tasting tour around George Town and then head off to the East End for some more sightseeing. Visit Pedro St. James and the Queen Elizabeth II Botanic Park. Stop off to view the Blowholes and the Wreck of the Ten Sails. 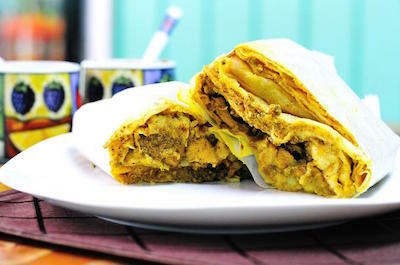 Most tours include a delicious lunch where you can sample the local Caribbean cuisine. 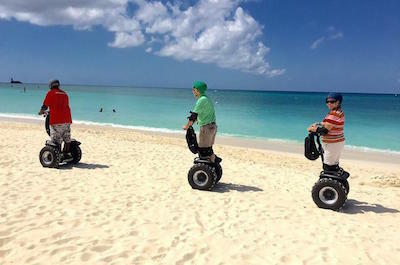 Try a Segway tour along Seven Mile Beach and then quench your thirst on a rum tasting tour around the famous drinking spots. The whole family will be delighted with the Submarine Tour that dives down into the deep where you can view the stunning marine life. 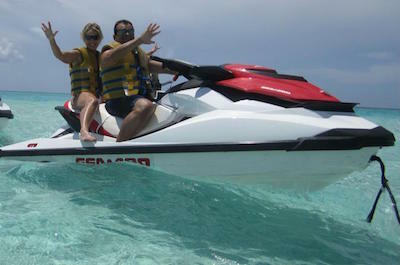 Jet skiing is a fabulous water sport and wonderful thing to do in Grand Cayman. Rent a jet ski at Seven Mile Beach and zoom along the azure blue waters, it is an exhilarating feeling. Grand Cayman tours offer an amazing option of a jet ski tour out to Stingray City. You get the best of both worlds, a fabulous ride and a chance to interact with these amazing creatures. You can ride alone on a single jet ski or with a friend on a double jet ski. The trip takes two and a half hours and half of that time is spent on the ski, so you need to be fit and ready for a real wet adventure. Another Jet Ski tour option takes you to Starfish Beach where you can search for and collect sea stars. The tour is small and intimate, limited to a maximum of 15 people. Seeing the spectacular coral reefs and shipwrecks from the comfort of a special ship is another fabulous thing to do in Grand Cayman. The Seaworld Observatory is a cutting-edge semi-submarine that will take you on a tour of a lifetime. This trip is perfect for families and people who prefer to remain dry while still exploring the stunning marine life that the Island has to offer. As you sail along, your guide will give you a detailed insight into what you are seeing, the history of the area and other interesting facts. Be enthralled as you pass the ship wreck of the Cali. This steel schooner ran aground in 1944 about 100 yards of the coast. You will then sail to see another wreck, the Balboa. This ship was destroyed in a massive hurricane in 1932 and was smashed to smithereens as she was swept along the ocean floor. Pieces of her cargo of wood was used in the buildings of George Town and can be seen to this day. Then set off to the Cheeseburger Reef where hundreds of brightly coloured fish swim up the port windows. Watch the diver go underwater and feed them. Your journey ends at the port in George Town where you can disembark and settle down for a delicious local meal. 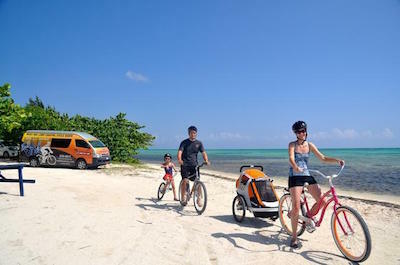 Riding on a Seqway PT is a fun family thing to do in Grand Cayman. These nifty little two wheel motorized vehicles offer a relaxed and fast way to get around and also explore areas not accessible by motor car or 4x4. There are a number of fun tours you can take. Start with a ninety minute adventure along the famous Seven Mile Beach area. Your guide will give you safety brief and some basic training. You then dress up in your safety gear and helmets and set off. The views are amazing. Stop at Camana Bay, the best spot for stunning 360 degree panoramic views of the island. After your tour, relax at the Royal Palms and sip a long cool drink. Another fabulous option is to do a Segway PT ride at night. See the sun set over the Caribbean Sea and experience the thrill of zooming across the sandy beaches as the sky darkens. Head back to Seven Mile Island for a traditional Island dinner. 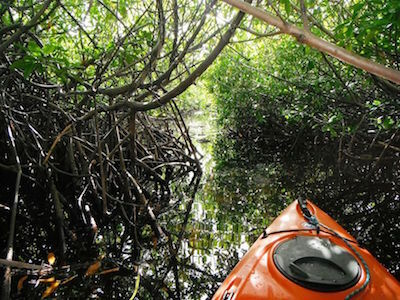 After exploring the blue seas, here is a different thing to do in Grand Cayman when you experience an amazing trip on a kayak, through the dense and luscious mangrove forests. Your guide will give you a safety brief and then you set of. He will answer any questions you have about the area and the astounding wildlife you will encounter as you make your way along the small waterways under the mangrove canopy. Learn about the ecosystem, look for local Island birds, iguanas, sea squirts and anemones as you paddle along. Bird lovers will be delighted to spot egrets, herons and warblers. The paddling is slow and easy and the boats have comfortable back rests, so this is suitable for all ages and levels of fitness. Wear suitable clothes as you may get a bit wet! Grand Cayman is one of the most exciting and interesting places in the world to go scuba diving with the numerous shipwrecks and beautiful coral reefs to explore. You will have opportunities to view such wonders as the USS Kittiwake just offshore of Seven Mile Beach where hundreds of species of marine life exist. The brightly colored coral reefs and interesting dive sites like the Devil’s Grotto will amaze you as you explore this underwater fantasy. There are plenty of interesting underwater locations for you to visit that will put a smile on your face and lots of memories in your mind. Scuba diving is a must thing to do in Grand Cayman when you want to explore the beautiful underwater world that exists in the Caribbean Sea. 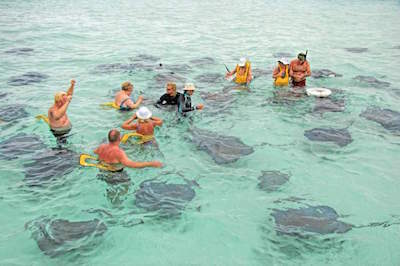 This is definately one of the best Grand Cayman activities available for tourists! Cultural tours are one of the best things to do in Grand Cayman while you are visiting the island. You will be amazed at how much history and culture is packed into these wonderful excursions. While you travel around Grand Cayman, you will view unique architecture from the 18th and 19th century such as the Court House as well as King George’s Clock Tower in George Town. 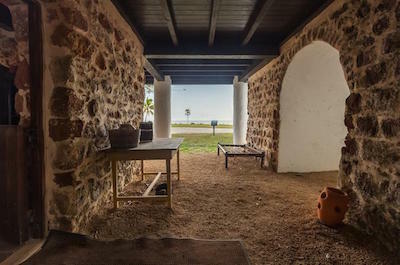 You will also enjoy an interesting stop at Pedro St. James Castle on the southern coastline of the island. But cultural tours are not all about architecture and history as you will enjoy the National Gallery where you will view incredible island artwork. Cultural excursions are family-friendly, interesting and one of the best things to do in Grand Cayman while you enjoy learning about this wonderful tropical paradise. 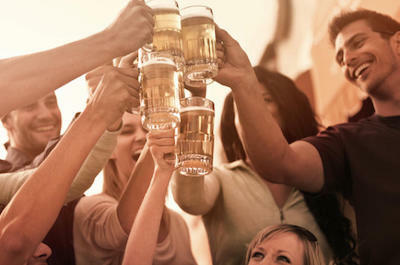 One of the best things to do in Grand Cayman is to experience the culture of food and rum while you visit the island. There are several great excursions for you to enjoy that will take you to the most popular pubs and bars in Grand Cayman. The excursions are fabulous for foodies where you can sample exquisite Caribbean-style cuisine that ranges from jerk barbeque to incredible seafood dishes. When you are thirsty to learn about the rum making process then an ideal thing to do in Grand Cayman is to visit Cayman Spirits Company Distillery and sample the finest rum made on the island. Another benefit for you on a pub and bar tour is the history and culture of the island that you will experience from knowledgeable guides as well as restaurant owners. So get out and walk the streets while you enjoy great food, drink and unique shopping opportunities in Grand Cayman. Grand Cayman is an ideal place to enjoy several unique nature and wildlife excursions while you visit the island. Most of the excursions are family-friendly and put you right in the middle of the action of this island paradise. You can enjoy standout things to do in Grand Cayman such as viewing the incredible manicured gardens at Queen Elizabeth II Botanic Park which includes native flora as well as blue iguanas in their natural habitat. One of the most popular things to do in Grand Cayman is swimming with stingrays at Stingray City and children love swimming with turtles at the Cayman Turtle Farm. When you are planning your things to do in Grand Cayman you will be happy that many of these exciting excursions can be combined for a perfect day on the island. While you are visiting Grand Cayman why don’t you go for a relaxing bike tour of the island? Bike riding has become one of the more popular things to do in Grand Cayman for many reasons besides the wonderful exercise. Bike excursions are an interesting way for you to learn about the natural environment of this lush tropical paradise. While you ride on flat and established roads that are generally free of traffic you can view the wonderful architecture, learn about the culture and of course witness some of the best beaches in the world like Seven Mile Beach. Exploring Cheeseburger Reef is another popular thing to do in Grand Cayman. This fabulous snorkeling and scuba diving spot takes its name from a nearby famous fast food outlet. 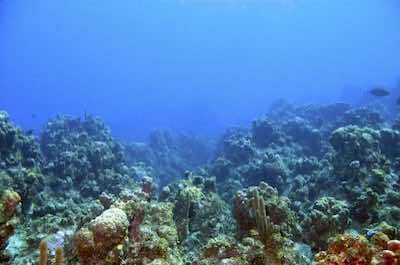 The reef however, offers a magnificent display of marine life with colourful fish, corals, sponges and stingrays. Head into the water and swim out for about 20 yards where you will be greeted by the abundance of life. Admire the sea turtles, butterfly-fish and snappers, this is a divers paradise! To top it off, you can also explore the wreck called the Cali, a ship which ran aground in 1944, near to the coast in the shallow waters. After your diving adventure, don't forget to sample a Cheeseburger at the fast food outlet.